In principle a green credit card sounds like an excellent idea but sadly, it’s sometimes not as “green” as you might think. Often, when you see an advert for a green card and request more information, it turns out that the seller’s definition of green is totally different to your own. For example, some lenders claim their card is green simply because they no longer provide paper statements. So, lots of paper (and therefore trees) will be saved if you choose their card. Most consumers, however, are hoping for a bit more than this when they decide to opt for a green credit card. The “green” phenomenon in recent years has sparked the creation of a whole host of products claiming green credentials, including mortgages and credit cards. So, choosing a “green” credit card seems the most sensible direction to go. Right? Unfortunately that might not be the case. Over the past few years, a number of lenders have been accused of jumping on the climate change bandwagon simply to attract extra publicity and interest. So how can you tell whether your credit card is really making a difference, or whether it is just a thinly disguised publicity attempt? The answer is that you need to do a little research into any “green” claims made by a credit card company. Some have gone further than others in their quest to provide an eco card but obviously terms and conditions can change on a regular basis so you always need to check out latest information. At the time of writing this article, the most notable ‘green’ high street credit card was the Barclaycard ‘Breathe’ Credit Card. Promises to donate 50% of overall profits to PURE, a government approved charity which undertakes environmental projects in the UK, South America and Asia. 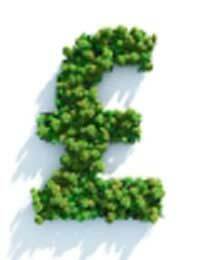 “Green” bonuses included 25% off at Center Parcs and 10% off bicycles at Halfords. Unfortunately, although the 50% of profits donated to PURE sounds excellent it’s important to point out that this comes from overall profits. So if you pay off your balance in full each month and don’t pay any interest, then you won’t really be contributing to the cause. Its rate was not the best rate around at the time either, so instead of opting for such a card, many experts recommend that if you really want to make a difference, you choose a card with a lower APR (interest rate) and contribute to charity yourself. Promises 1% of money spent on the card will be donated to causes such as fighting AIDs, tuberculosis and malaria in Africa (more ethical than green). Meanwhile, the World Wildlife Fund has teamed up with a credit card provider which contributes 1% of the value of every purchase made to the WWF. A number of charity credit cards are run through the Co-operative bank and support causes such as Help the Aged, Amnesty International and Oxfam. Typically (although not always) a donation of £15 is made to your chosen charity when you open the account and another £2.50 is added after six months. In addition, 25p for every £100 spent on the card is also donated to charity. Rates vary between providers and some may have minimum earning limits. Credit cards are also available to support a variety of other charities and organisations including Water Aid, Greenpeace, Christian Aid, Action Aid, Friends of the Earth and RSPB. The best advice is to shop around until you find one that both supports a worthy cause and offers a reasonable deal to the card holder. Remember, some credit cards widely available on the high street, may claim to be green – but it’s vital to do some research and check out just how green they really are before you sign on the dotted line.